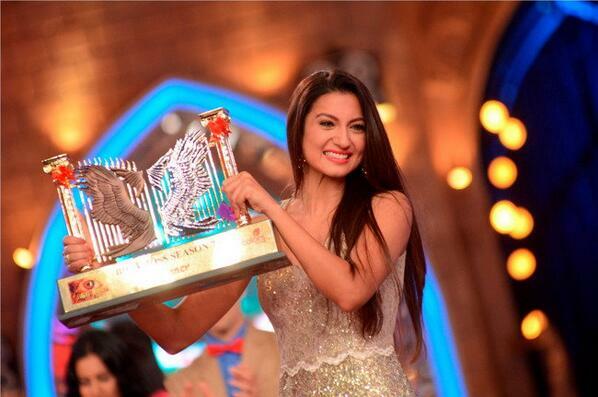 The most entertaining and number one show of India had its finale today - Gauhar Khan won the this season 7 of Bigg Boss. 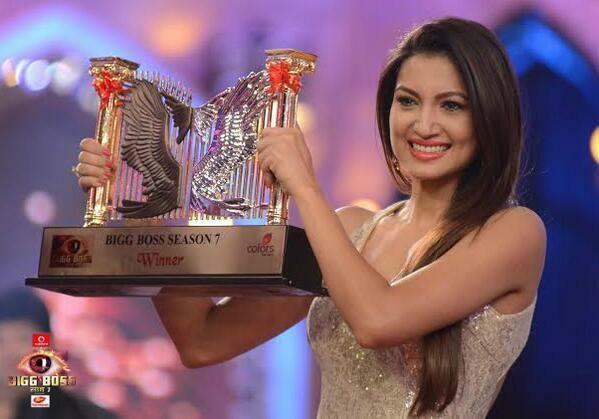 Here are some photos which were more popular on Twitter with the hashtag "#BB7Finale". It was race of four contestants. Gauhar, Sangram, Azaz & Tanisha. See the pics while bollywood superstar salmaan khan given Gauhar a trophy and 1 crore cheque.